Today I am writing about one of our amazing Australian Growers. Rod Ostini and his son Boris bring their fresh produce from Orange NSW to Parklea Markets in Western Sydney every weekend. 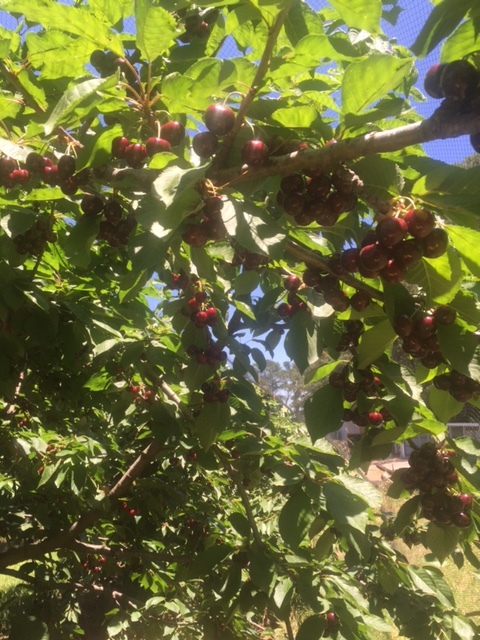 They grow the best cherries, apples, pears, stone fruit and seasonal fruit and potatoes. Our family has been buying our fruit from Rod and Boris for years. The apples are crunchy, and the freshest around. The many pear varieties are sweet and fresh and the seasonal fruits like peaches, apricots and nectarines and plums have superior flavour to what we can find locally. They have many different varieties of cherries and often even carry morello cherries for those that enjoy cooking with them. 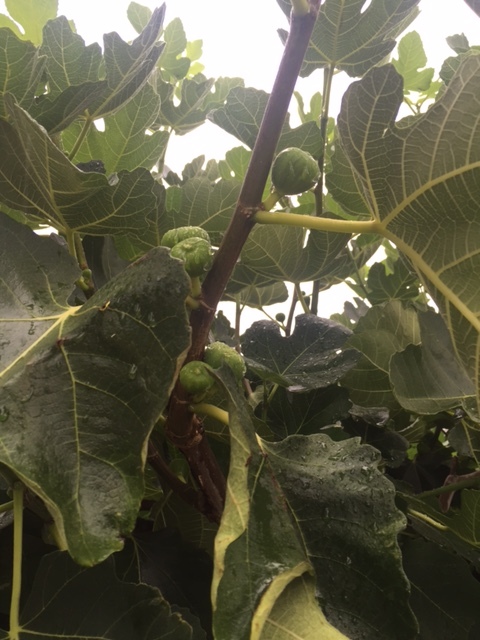 Depending on the season they have potatoes (which keep well for ages), figs, chestnuts, garlic and other seasonal offerings. The beauty of buying fruit and vegetables that are in season is that they are at their peak for flavour and texture. 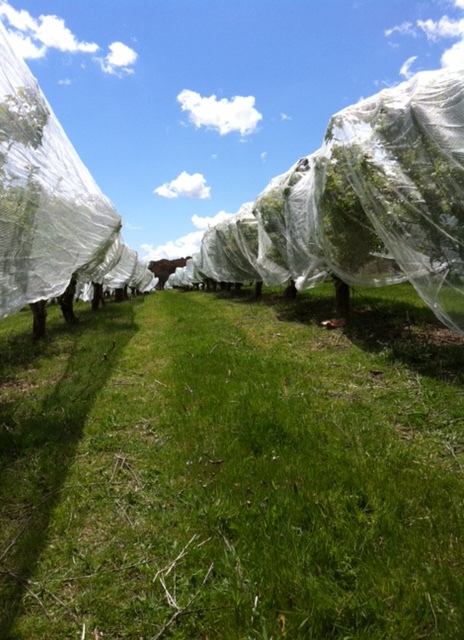 The climatic conditions around Orange in NSW where the fruit comes from is perfect for growing and the quality is always excellent. There are no apricots better than Rod’s and every December we make sure to get some. We make apricot jam and sometimes its a fight between loving to eat them fresh or cooking them! We usually have to go back for more. Boris said today that there may be some more coming in a few weeks so we will keep a lookout. You may see beautiful looking apricots around but they are usually a disappointing flavourless fruit. You haven’t really eaten an apricot if you haven’t tasted those that Rod brings down to us. Its all about the flavour. One of the things I love about Rod’s cherries is that they still have their stalks attached, sometimes in two’s and three’s. I am old enough to remember draping them over my ears as a child as earrings. Try finding those at your supermarket. We thank Rod and Boris for years of effort bringing down their wonderful produce to ParkleaMarkets every weekend. We are blessed with the freshest fruit at great prices and we recommend them to you too. You will find their stall at location 257. Just look out for the big banner with “Australian Apples Grown in Orange”. Support our farmers and we may continue to have the freshest seasonal fruits for years to come. 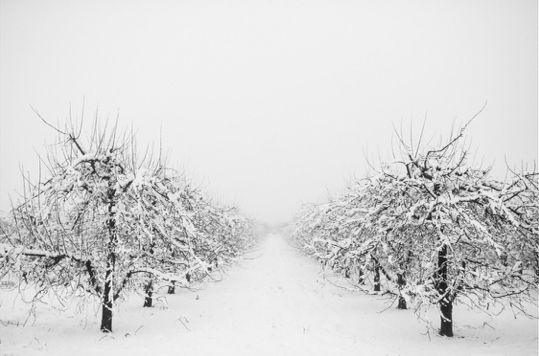 and this amazing image of the orchard in winter! It’s so pleasing to see locals support locals. 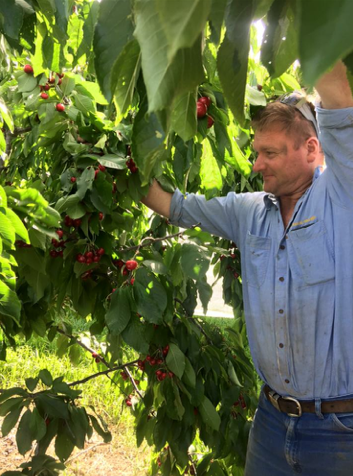 Boris and Rod are the only farmers selling direct to the public at Parklea – and it’s clear why they have so many loyal fans – their fruit is picked ripe with no wax making it the tastiest fruit available.